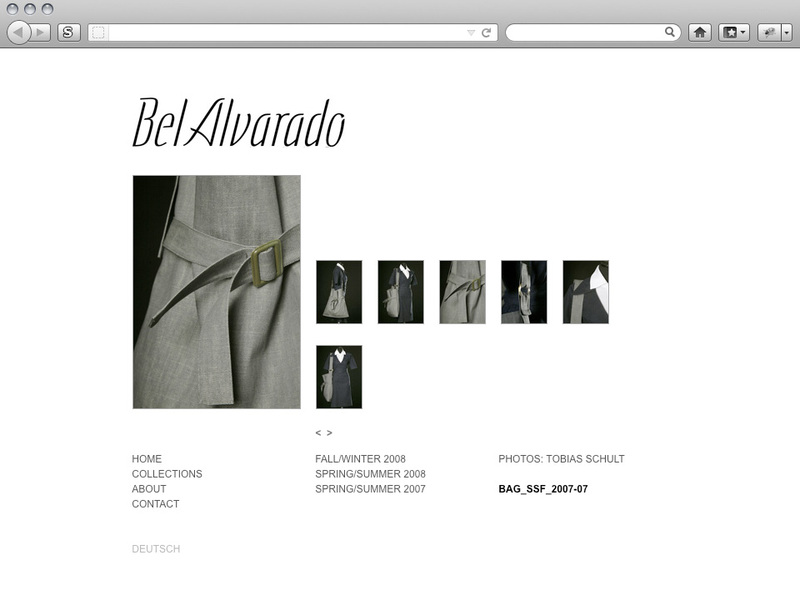 Concept, design, and implementation of a web site for Berlin-based fashion label Bel Alvarado. Designed for minimum maintenance: most of the work is done by a script that reads the server filesystem and generates the pages from whatever pictures the client has uploaded there. XHTML 1.0 Strict, CSS 2.1, PHP. The Bel Alvarado logotype is by Jan Stoewe, Berlin.